The rules, for the newbies. 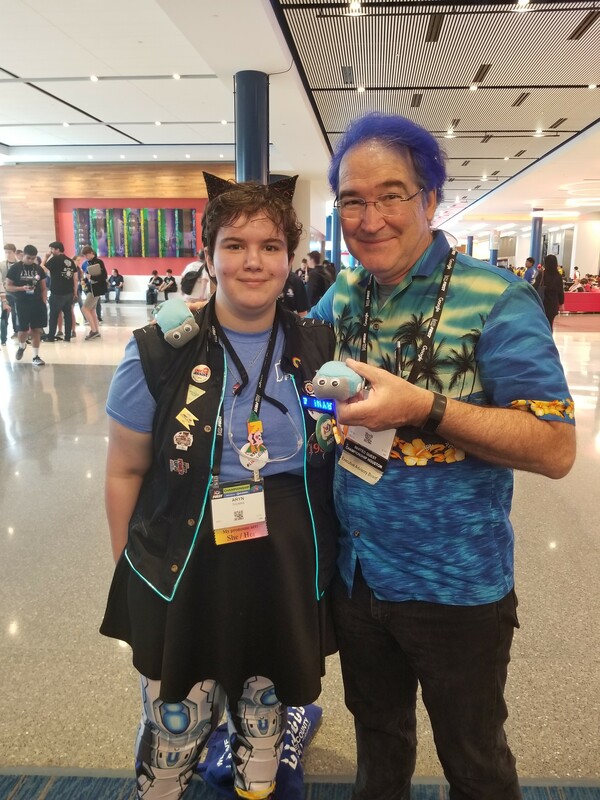 [f304b4a69cd8d37b2d84889b45798f4c_l.jpg] Had the fantastic privilege of giving Dave Lavery one of the small plush dozers I made throughout the season! As always, the deadline is nominally Sunday at midnight Eastern. A throwback to the days before 3-D printing, when someone had to …sew… stuff you CADded. Dave Lavery about to bury plush dozer in Krispy Kreme doughnuts. So, what have your favorite games been? This year, FRC brought back defense. Next year, we will bring back Dozer. The Trouble with Tribbles invaded FRC one year disguised as dozers. You know you’ve reached retirement when people start making plushies. The plush dozers are just a distraction from the real meaning behind the photo: Dave Lavery’s shirt is a 2020 game hint. Here, have this plushie. I have no use for it. Dozer has taken back the title (from this) of the most iconic robot in FRC history. Are you sure this won’t get me to the top of the Waitlist? Which one is the real martian?